My coworker was unable to give his ignite session at DevOpsDays Chicago 2015. I volunteered to give his ignite for him. 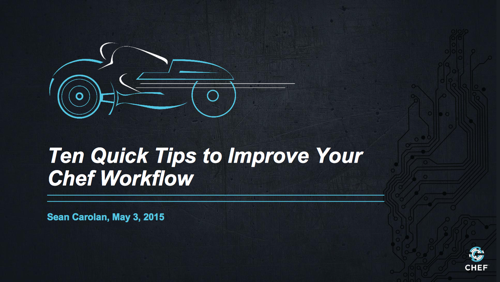 These are ten quick tips you can use to improve your Chef workflow. 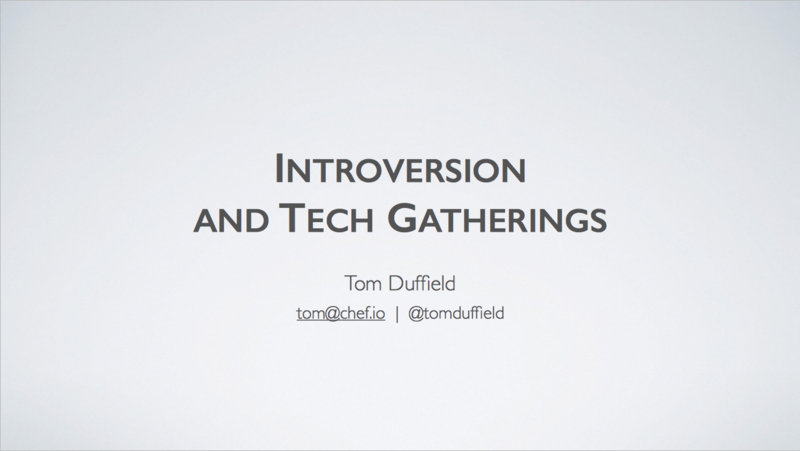 After giving my “Introversion & Tech Conferences” ignite at a local Minneapolis meetup I was invited to give an extended version as a Keynote at a Target internal DevOps event. 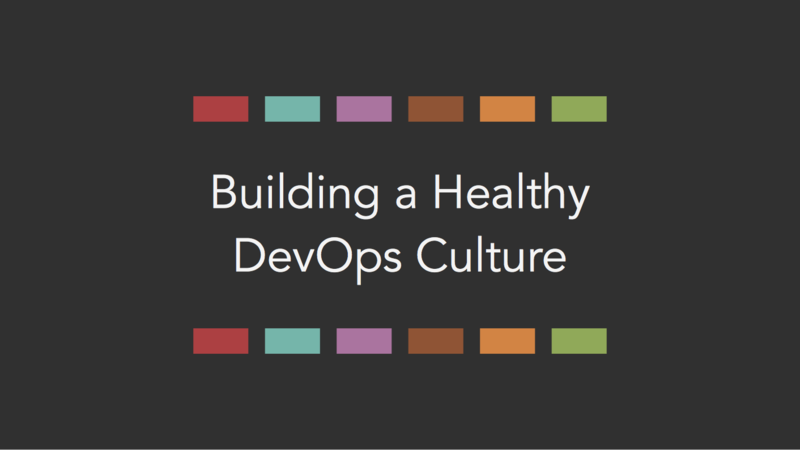 This presentation takes the themes I introduced in the ignite and delves deeper into them. 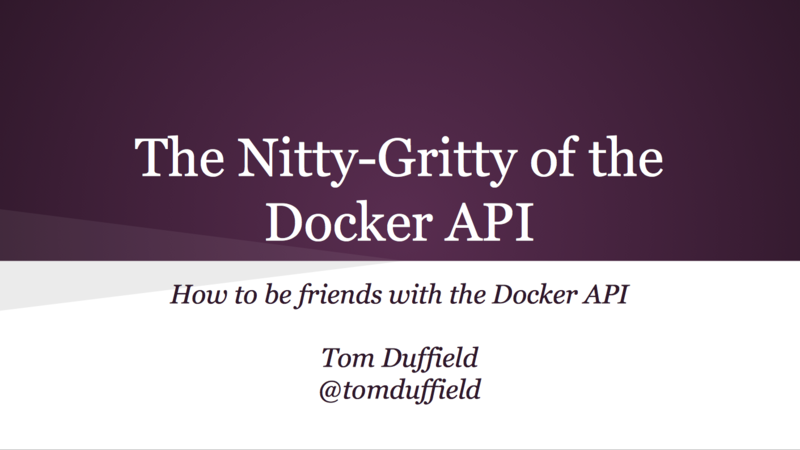 This was a talk aimed at those who may have been using Docker for awhile now and want to start pushing the boundaries a bit, perhaps by leveraging the sweet API they have. In this short talk I cover my approach using the API and some gotchas of which users coming from the CLI might not be aware. 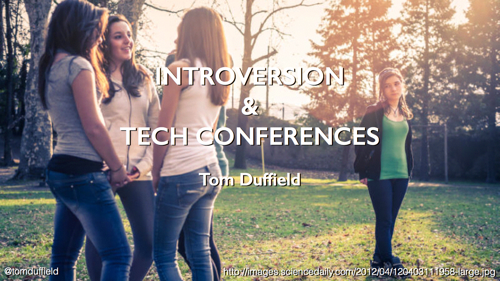 Technical conferences can be difficult for individuals who, like myself, identify as “introverted.” The sea of people can overwhelm the senses and the social pressures hidden around every corner can send some into anxious panics. This talk will discuss how introverts, extroverts, and everyone in between can approach these types of conferences so that it can be enjoyed by everyone. Cookbook reusability across the community has been hindered by a lack of standardization on how different types of cookbooks should be developed and consumed. 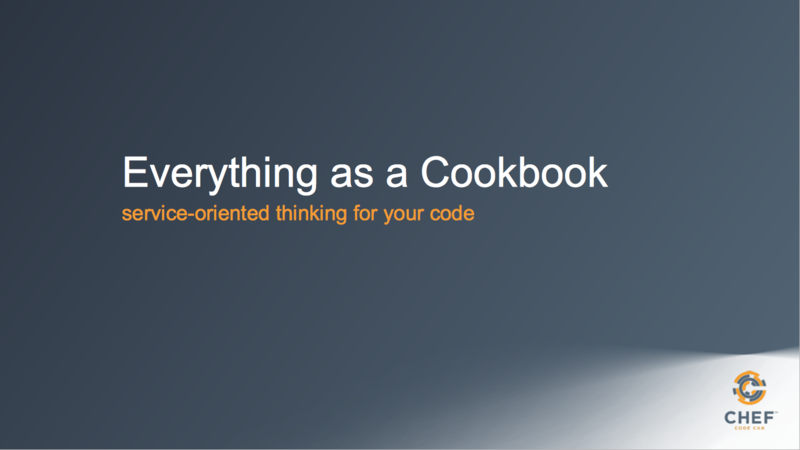 The good news is that by shifting our mindset slightly about how we develop and consume cookbooks, we can leverage existing service models to define criteria that will set expectations between developers and consumers for how cookbooks should be designed and consumed. 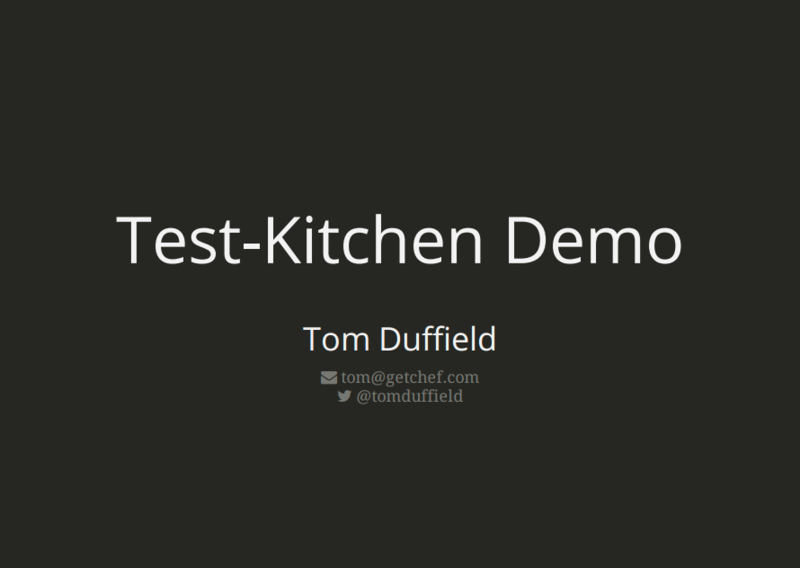 Test Kitchen is a test harness tool to execute your configured code on one or more platforms in isolation. A driver plugin architecture is used which lets you run your code on various cloud providers and virtualization technologies.